The Mayor’s Office for People with Disabilities has joined with Jewish Family Services to host the ReelAbilities: Houston Film and Arts Festival, Feb. 12 – 21, 2019. ReelAbilities is a free city-wide festival of films, art exhibitions, performances, and speakers that celebrate the lives, stories and talents of the disability community to enrich Houston’s cultural and inclusion efforts. The goals of ReelAbilities are to increase awareness around disability issues, remove stigma surrounding disability, and eliminate barriers to accessibility in arts, culture, education, and employment. The principal sponsors of the festival – TIRR Memorial Hermann and the Bristow Group – make it possible for all ReelAbilities Film screenings and associated parking to be free to the public. All venues are accessible. For more information about ReelAbilities and the full schedule of events visit http://www.reelabilitieshouston.org/. ReelArt: An exhibition from Ezra Roy, a native Houstonian and visual artist who has Down syndrome. Roy specializes in mixed-media pieces, and his work often contains references to African art and Hip Hop culture (Feb. 13 – April 19). ReelAbilities Film Festival: 13 matinee and evening films will be shown at Edwards Greenway Grand Palace Stadium. AMany of the films feature an interactive event to foster dialogue among the audience, the filmmaker, parents, professionals, or persons with disabilities, and explore the subjects depicted in the film (Feb. 17 -20). ReelMusic: A house band comprised of some of Houston’s top professional musicians join artists living with disabilities on stage at White Oak Music Hall (Feb. 21). 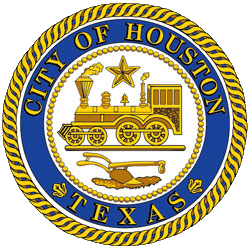 Learn about the Mayor’s Office For People With Disabilities at https://www.houstontx.gov/disabilities/ or follow the MOPD on Facebook at @HoustonMOPD.